The Aquarelle Dragon has a knack for turning things around. Whenever there are dark times in Dragon City, she will cheer everyone up and make it better. 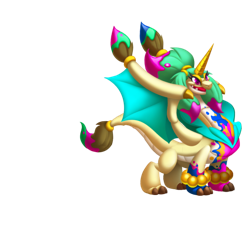 This radiant dragon made a pact with Deus that she would always keep the islands bright and colorful. 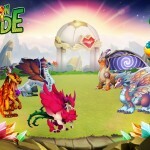 Aquarelle is not Currently Breedable. Sorry. 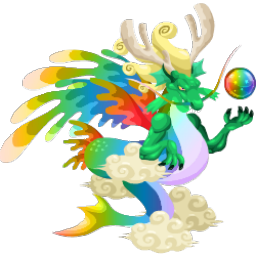 Aquarelle is a Legend primary element dragon and so can only be critical hit by other Legends. Avoid using Physical based attacks against Aquarelle as they will have a weak effect. To beat Aquarelle use high category dragons with strong attacks, higher level, and/or lots of stars!